USCIS will not refund the filing fees of employers who indulged in filing multiple or duplicative H-1B petitions. The United States Citizens and Immigration Service (USCIS) announced on Friday that it has reached the H-1B visa cap for the fiscal year 2018-19. “USCIS has reached the congressionally-mandated 65,000 H-1B visa cap for fiscal year 2019,” read a press release from USCIS. 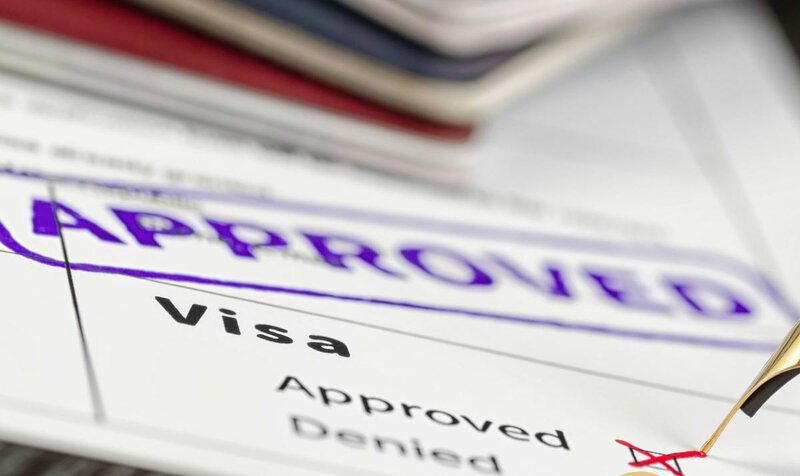 The release also added that it received the sufficient number of advanced degree exemption applications to fill the 20,000 visas left aside for this category, popularly known as the Master’s Cap. USCIS will reject rest of the applications and will provide a refund for the filing fee of all applications that are left over. The agency had earlier announced that it will start accepting the H-1B petitions from April 2 with a temporary suspension of premium processing of H-1B visas still in effect. We will temporarily suspend premium processing for all FY 2019 cap-subject petitions, including petitions seeking an exemption for individuals with a US master’s degree or higher. This suspension is expected to last until Sept. 10, 2018. The release also said that the agency will continue to accept and process petitions that are outside of the mandated quota. “Petitions filed for current H-1B workers who have been counted previously against the cap, and who still retain their cap number, will also not be counted toward the FY 2019 H-1B cap,” said the release. USCIS will continue to accept and process petitions filed to extend the amount of time a current H-1B worker may remain in the United States, change the terms of employment for current H-1B workers, allow current H-1B workers to change employers, and allow current H-1B workers to work concurrently in a second H-1B position. Aparna Dave, an immigration lawyer based in Gaithersburg, MD, told The American Bazaar earlier that most of the petitions she filed were for students who are currently working for US employers on EAD (Employment Authorization Document), or for H4 visa holders (who are spouses of H-1B visa holders) that are authorized to work here. “Majority of the petitions are for change of status,” she said, adding that employers are reluctant to bring workers from abroad because of the added scrutiny. The lawyer said, in addition to the USCIS scrutiny while processing the petition, now consulates also subject applicants to more intense scrutiny. “There are a lot of inquiries from consulates,” she said. As a result, most companies that filed for H-1B visas to bring employees from abroad are the ones who already have offices abroad. According to the analysis, the maximum number of H-1B visas approved from 2010 to 2016 went to employers in the New York City metro area. The agency has temporarily suspended the premium processing services to reduce the overall processing time of the H-1B petitions. H-1B visa applications including words like ‘ASAP,’ ‘subject to approval’ will end up being rejected, says the immigration agency.